Instead of listening to me drone on for 30+ minutes, what follows is the basic content of the presentation in textual form, not verbatim and slightly more detailed – a better reference. : The user has the source code available and is willing and able to change the source code for portability and performance advantage; the code can be recompiled and relinked; there is a representative performance scenario which can be run for analysis. : The user has the source code, but may not be willing or able to change it; the code can be recompiled or relinked; there is a representative performance scenario which can be run for analysis. : Source code is not required; neither recompiling nor relinking is required; there is a representative performance scenario which can be run for analysis. The IBM® Advance Toolchain is a software suite containing the latest releases of compilers, various libraries, and various tools related to application porting, tuning, and debugging. Recent releases of these components include support for the latest features and the latest optimizations for OpenPOWER and IBM POWER® processor-based platforms. The purpose of the Advance Toolchain is to make these more modern software components available on distributions which only provide significantly older releases. The distributions, justifiably, are reluctant to change major components of the operating system like compilers and system libraries as the risk to stability is not worth the opportunity for better performance. Some distributions have made strides in providing developers with much more recent components as a developer toolset that provides a later compiler and its prerequisites. The Advance Toolchain goes farther in providing not only the latest compilers but also the latest releases of many system libraries. In addition, those system libraries are built with the latest compilers. In this way, applications built with the Advance Toolchain benefit not only from new optimizations in the latest software, but also by having that software compiled with the new compiler. Further, the Advance Toolchain is where new compatibility features may appear first. For example, there is an ongoing effort under the auspices of the GCC project to provide compatible implementations of the Intel vector intrinsics. Those will not appear in major Linux distributions for a year or more, but are already appearing in the Advance Toolchain. The Advance Toolchain is supportable through IBM Support Line. Updates with bug fixes and security-related fixes are released often. It is available for free download, and is entirely open source at https://github.com/advancetoolchain/advance-toolchain. One caveat is that when an application is built with the Advance Toolchain, it then has a dependency on the Advance Toolchain runtime. So, if that application is to be deployed elsewhere, the Advance Toolchain runtime package must be installed there as well. Because the runtime is free, this is not of significant concern, but something of which to be aware. Better: At a minimum, use the latest of any distribution-provided developer toolset to get a recent release of the compiler. Best: Use the Advance Toolchain to get the latest release of the compiler, libraries, and tools; plus, those libraries built with the latest release of the compiler! IBM XL compilers are IBM’s flagship proprietary compiler suite, used for reporting SPEC benchmark results on IBM AIX®, IBM z/OS®, and Linux on Power. The IBM XL compiler development team works closely with the IBM Research team to incorporate the very best optimization techniques for performance advantage. Recently, the IBM XL C/C++ compiler switched to use a source code parser (front end) based on Clang, allowing the IBM XL C/C++ compiler to significantly improve source code compatibility with GCC and LLVM. Also, most common command-line options for GCC are also supported by the XL C/C++ compilers. Beyond standard compilation, the IBM XL compilers also offer several advanced features which can be used to performance advantage, one of which falls in the gray box category: automatic parallelization. If this is enabled using a command line option, code can be generated to automatically use the multithreading capabilities of the Power system for performance advantage. Try using the IBM XL C/C++ for Linux Community Edition. It is free, and its compatibility with GCC should make it a drop-in replacement simply by changing the PATH. If the performance advantage is significant, consider adopting the fully licensed and supported version for integration into a production build environment. Profile a representative performance scenario. Create a new, optimized binary. This tool is labeled gray box even though it doesn’t require recompiling or relinking because the binary must be linked such that relocation information is preserved. Because this is not the default behavior of the linker, it is usually the case that the binary needs to be relinked with -emit-relocs. There are open source wrapper scripts in the fdpr_wrap package. Both FDPR and fdpr_wrap packages can be found at [https://developer.ibm.com/linuxonpower/sdk-packages/. In this example, FDPR has found a place where unrolling a loop would be advantageous, which suggests adding a compiler option like -funroll-loops. After completing all other source code changes and compilation-related optimization, generate an FDPR journal to see if there are more opportunities to improve performance with source code changes. Validate the results of any changes, as not all suggestions will necessarily result in performance improvement. After completing all other source code changes and compilation-related optimization, use FDPR on the final program binaries to squeeze a bit more performance out of the program. Problem description: Potential migration issue due size of long double variables in Power architecture. The command-line Migration Advisor is not yet able to implement any fixes in the source code. The project is written in Python, is open source, and can be found at: https://github.com/open-power-sdk/migration-advisor. The command-line Source Code Advisor uses FDPR (described above) to analyze a representative performance scenario and report performance issues which could not be identified during compilation. The results are displayed in a very readable format for inspection and further manual action. Specify the GNU extension "attribute ((optimize ("unroll-loops")))"
on the function containing the loop. so validation of its impact is recommended. The command-line Source Code Advisor is not yet able to implement any fixes in the source code. The project is written in Python, is open source, and can be found at: https://github.com/open-power-sdk/source-code-advisor. 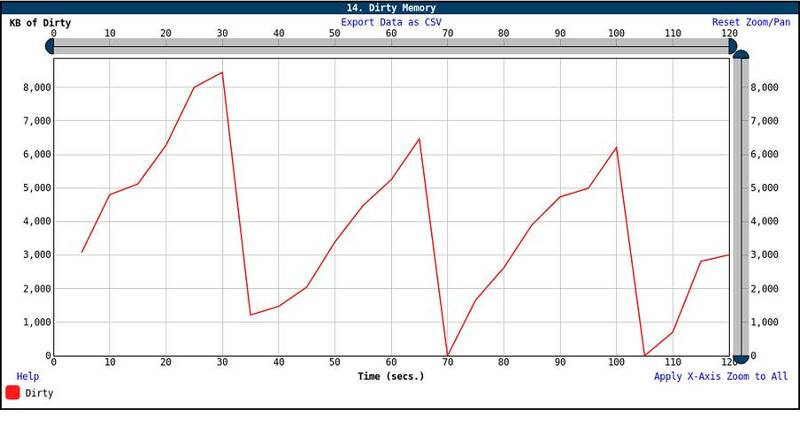 record: Profile the performance scenario and record relevant hardware events. display: Display the collated results in the form of a hierarchical layout of events, metrics, and their respective relative contribution to overall CPI measurement. Use of the command-line CPI Breakdown tool is simple. The first step is to record the hardware event counts. Note that the scenario (“./load” in this example) will be run several times in succession in order to collect all relevant hardware performance events, as only a handful are collected during each run. The second step is to display the CPI breakdown. There is a lot of information displayed. For convenience, there are command flags which can limit the output. Because the ultimate goal is to narrow down where in the code adverse events are happening, there is a further convenience function that can drill down on the most frequently occurring events. New profiling runs are launched in which those specific events are recorded and the profiling information, including source, line, and potentially instruction are included in the command output. 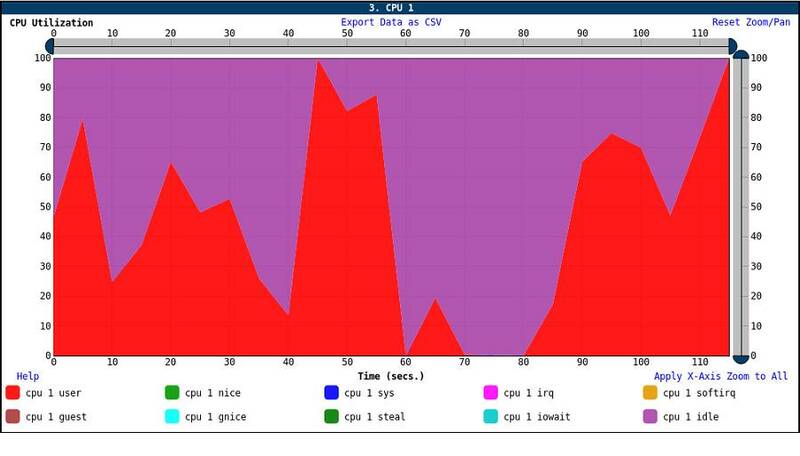 There is a tool called curt on AIX that displays statistics related to system utilization. A new tool for Linux, also called curt is inspired by the AIX tool (but is otherwise unrelated). The project is written in Python, is open source, and can be found at: https://github.com/open-power-sdk/curt. The Power Functional Simulator is a full-system simulator for POWER. This very powerful tool provides a complete POWER environment when a POWER processor-based system is otherwise unavailable or impractical. Given an image of an installed file system, it will boot through firmware and operating system to a login prompt for a POWER processor-based development environment. The Power Functional Simulator can be found at: [https://developer.ibm.com/linuxonpower/sdk-packages/. Convenient wrapper scripts, which greatly simplify getting an environment established, can be found at: https://github.com/open-power-sdk/power-simulator. INFO: 0: (0): !!!!!! Simulator now in TURBO mode !!!!!! The environment provided by the Power Functional Simulator is single core, single thread. There are simulators available for POWER8 and POWER9. A simulator is a great way to begin getting experience with Linux on Power, beginning a porting effort, and even for establishing a robust cross-compilation and runtime environment. 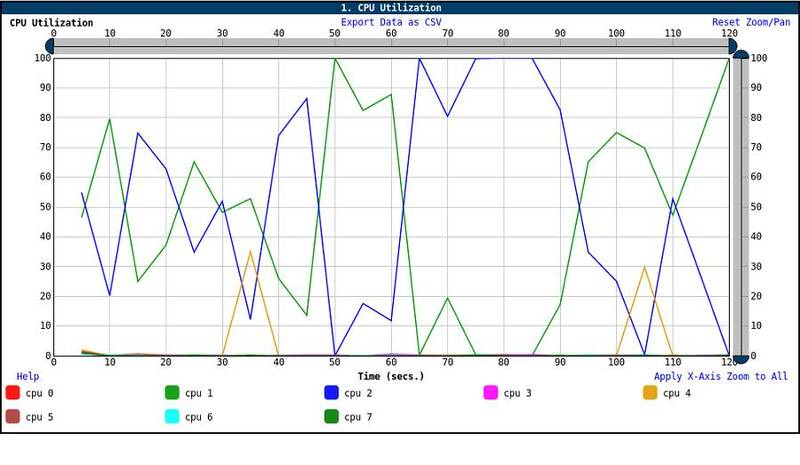 The Performance Simulator is a cycle-accurate POWER instruction stream reporting tool. It transforms a POWER instruction trace into a report where the various stages of each cycle of every instruction’s lifetime is reported. The resulting reports can be viewed with one of the viewers which is included with the Performance Simulator package. Instruction traces can be captured using the itrace function of the Valgrind tool suite. Valgrind itrace is not included with the Valgrind that comes with Linux distributions. 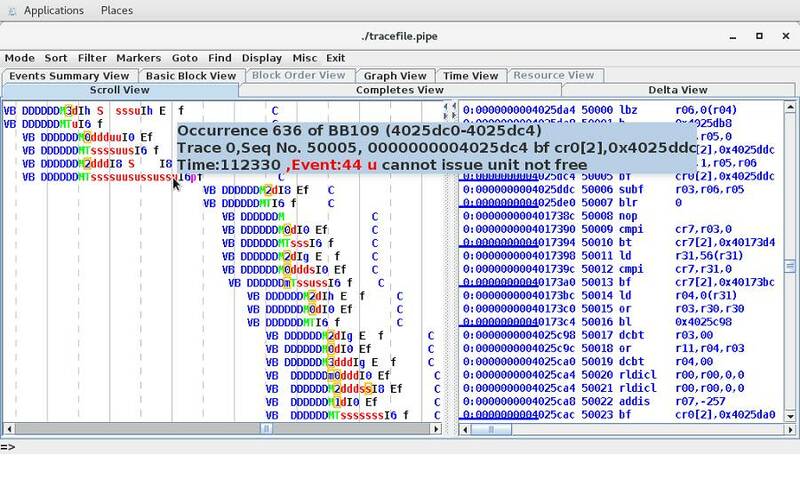 However, itrace is available with the Valgrind that comes with the IBM Advance Toolchain (see above). You can view the resulting instruction timing report with one of the two included viewers (scrollpv and jviewer). The scrollpv viewer displays the instruction cycle report. Each phase of each instruction’s lifetime is shown visually in the main pane, lower left. The instruction disassembly is two columns to the right. Hovering over any of the character mnemonics in the main pane will display an explanation in the text area near the top of the window. In the example, the cursor is over an ‘s’ near the center of the pane. The corresponding explanation is “cannot issue sources not ready”. This instruction is currently waiting for its operands to be made available from the processing of a previously executed instruction. Like scrollpv, jviewer also displays the instruction cycle report. jviewer is very similar to scrollpv. Which viewer to use is personal preference. The pipestat tool produces a lot of useful output. Extracted below are a few snippets. The information displayed may be a bit cryptic, but there is comprehensive documentation that comes with pipestat. The pipestat tool can be found at [https://developer.ibm.com/linuxonpower/sdk-packages/. The pveclib project is open source and can be found at https://github.com/open-power-sdk/pveclib. Fast timestamps: Instead of using expensive system calls or somewhat less expensive virtual dynamic shared objects (VDSOs), a single instruction can be used to access a system-wide synchronized timebase register, which is significantly faster. SPHDE is open source and can be found at https://github.com/sphde/sphde. System-wide data is collected for a specified period of time. The information collected is gathered into a compressed .tar file. # ./lpcpu.sh duration=150 extra_profilers="perf tcpdump"
The .tar file can then be offloaded to another system for post-processing and analysis. Point a browser at the resulting summary.html file. The post-processing steps create numerous charts and interactive graphs. The LPCPU tool is open source and can be freely downloaded at https://ibm.co/download-lpcpu). Formal support is available for the Advance Toolchain and the XL compilers. The Linux on Power Developer Portal is a hub for all sorts of information about hardware and software components in the Linux on Power ecosystem. Refer to: https://developer.ibm.com/linuxonpower. (Note: This portal replaces the IBM developerWorks Linux on Power Community.) Within the Portal, informal support can be requested by asking questions on the dW Answers forum at: https://developer.ibm.com/answers/smartspace/linuxonpower/index.html). Given all the nifty tools mentioned, where should one start when embarking on an effort to port code to Linux on Power? For interpreted code, including Java, Python, Perl, and shell scripts, just move the code to Linux on Power, and it should run without modification. Start with the SDK Migration Advisor or the command-line version. The Migration Advisor will flag (and sometimes fix) portability issues in the code being ported. Build with the Advance Toolchain. Measure performance. Using the compiler that provides the best performance from steps (2) and (3), use the SDK Source Code Advisor or the >command-line version to look for remaining performance opportunities. Evaluate recommendations and implement if desired. Then, rebuild. 3.1. Use common performance analysis tools such as perf to look for hot spots in the code for careful analysis, and see if any can be explained by architectural differences between prior platforms and POWER. See “Porting to Linux on Power: 5 tips that could turn a good port into a great port” at [https://developer.ibm.com/articles/l-port-x86-lop/. Apply mitigation if possible. 3.2. Consider using the SDK CPI Breakdown and Drill-down tool or the command-line version for deeper architecture-specific analysis. Drill-down on higher-frequency hazards. Apply mitigation if possible. For very deep analysis, consider using the pipestat command for fine-grained instruction-level analysis. As always, consider alternative approaches to common, important functionality that might be provided by SPHDE or pveclib. 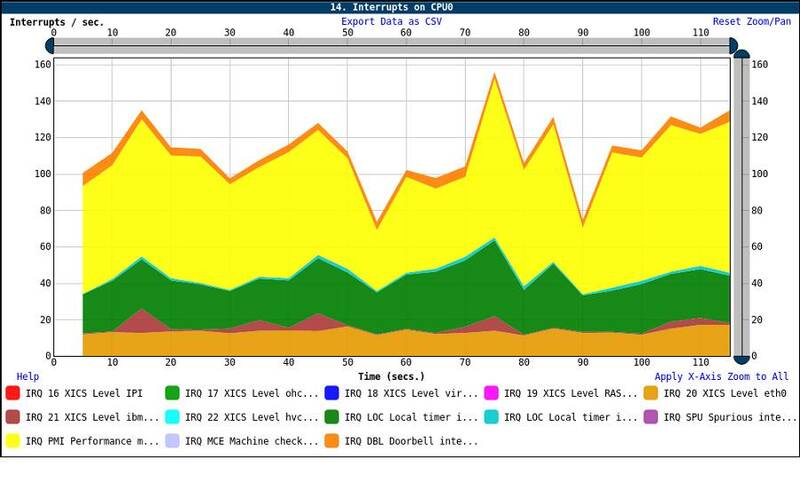 For system-wide performance analysis, use LPCPU and/or curt. Hopefully, the collection of tools explained in this article provide what’s needed to get the best results as quickly as possible. If there is a gap in a tool’s functionality or documentation, or a new tool would help, or reality isn’t meeting expectations, ask in one of the support channels! We’re here to help!